PLEASE NOTE, A FLOOR MODEL STOCK IS ALREADY ASSEMBLED AT THE SHOWROOM MELBOURNE CHELTENHAM AND CANNOT BE SHIPPED BY REGULAR COURIER SERVICE. PLEASE ENSURE TO BRING YOUR TOOLS AND ADDITIONAL ASSISTANCE TO UN-ASSEMBLE THE UNIT TO CARRY OUT OF THE SHOWROOM. ALL FLOOR MODEL ITEMS FOR SALE ARE AS IS. WE HIGHLY RECOMMEND INSPECTING THE PRODUCT IN PERSON PRIOR PURCHASE. 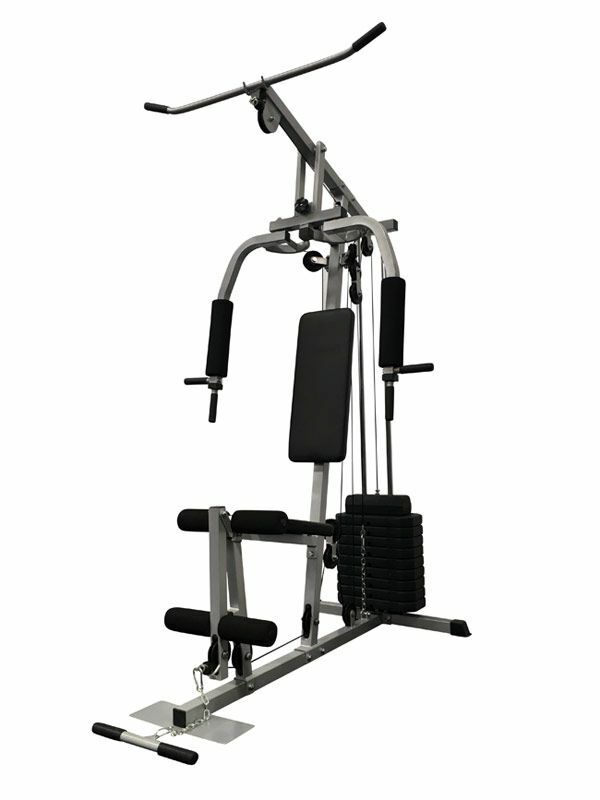 Multi Station Home Gym features a solid frame construction with high quality padding and upholstery. If maximum strength and a weight room full of workout options is what you want in a minimum amount of space, then try this multi home gym on for size. 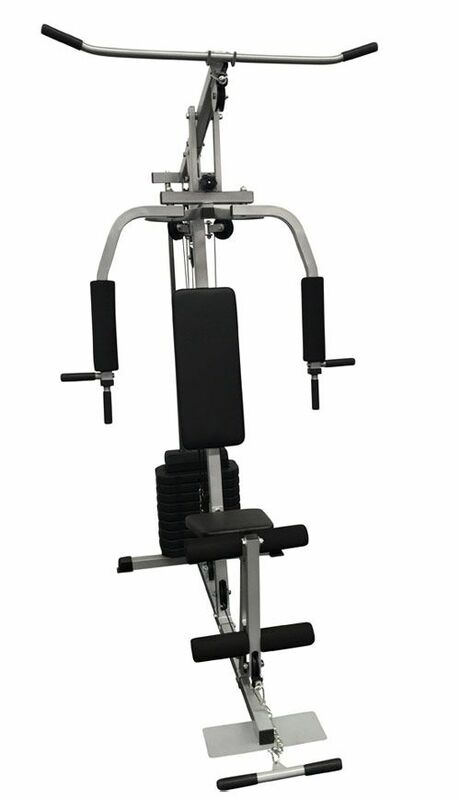 This multi-station workhorse provides health club quality strength training. Under constant tension, blood flow is often increased, thereby resulting in quicker and bigger pumps. The end result is the promotion of larger capillary beds to be rebuilt within the target muscle. Some of the balance is done for you with cable exercises. This allows for more focus to be on correct form and strong peak contraction at the top of every repetition-something less possible with free weights. 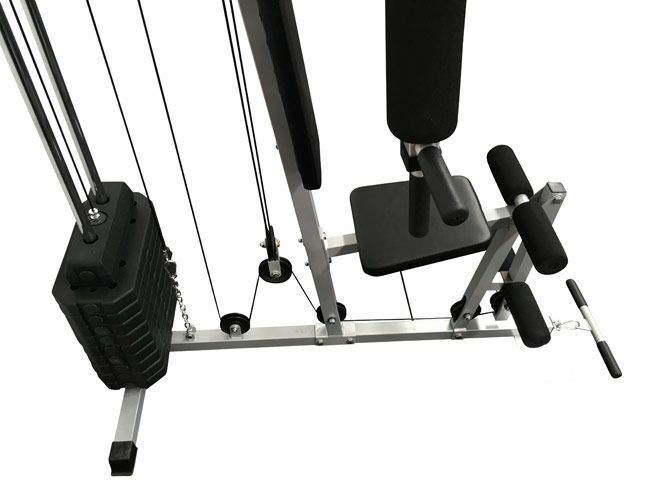 Cable machines can be extremely versatile. 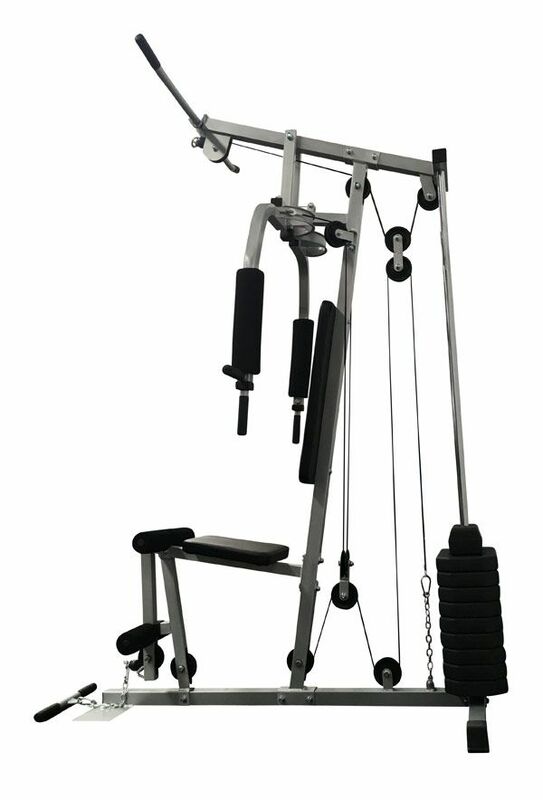 They can be used for a wide range of exercises through complete ranges of motion. Anyone can be accommodated by making adjustments to the cable machine. 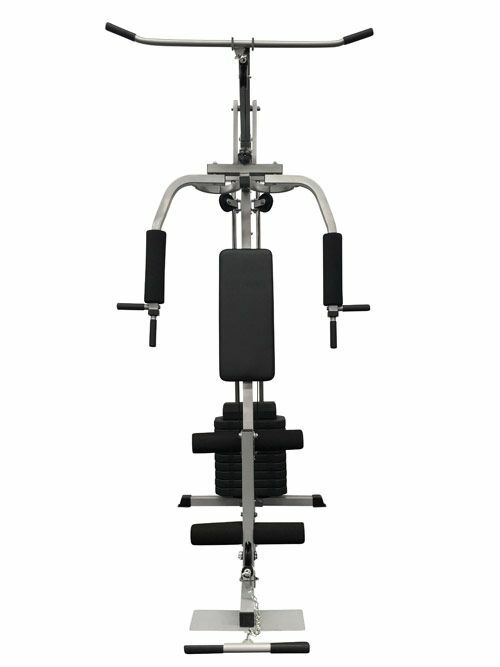 Angles and heights can be modified, also allowing for a single machine to conveniently offer a full body workout. First time use and Maintenance is required for all moving parts. We recommend WD-40's lubricant. To be used on wheel pulleys, ball bearings and cables.